Lorraine Erma (DIAL) Rand was born June 13, 1955 to Sheridan and Dennis Dial. She came breech with bright red hair. She did everything her way from that day on. 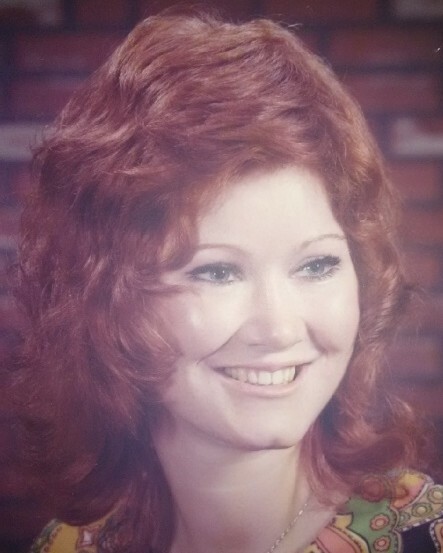 Lorraine grew up in the Spokane Valley where she spent her days playing in the fields and irrigation ditches, joining in softball and kick the can games with the neighborhood kids and cousins, riding horses and adventuring down to Haspert’s Drug store and Mel’s Bakery. She spent summers and as much time as possible in Northport, WA, in the mountains and on the shores of the Columbia River where her great-great grandfather had pioneered. Her summer days were filled with family, horseback riding, sweet corn, singing around the campfire and in the winter snowmobiling. She took up skiing on Red Mountain and skied for many years. Lorraine attended Central Valley High School. Her senior year in high school she joined the accelerated SCC Cosmetology program, and finished her AA degree, just one year after high school. She joined the Petticoat Junction where she gave haircuts and perms to most of the Valley. She met and married Pete Rand and soon after gave birth to Jacob Robert Rand, the light of her life. When Lorraine became disabled and was forced to quit hairdressing, she started to paint and continued to create until her death. She attended SCC a second time attending the culinary program and cooked professionally for a short time before she was unable to work. She was a generous cook making giant batches of cookies and food for others when she could. Lorraine was a gifted artist, and was prolific. She loved to dance and play. Lorraine was funny, adventurous, kind, sensitive, loved animals and her close friends and family above all things. She loved the Seahawks and was an avid fan to the end. She joins her grandparents, father and little brother in heaven and leaves behind her son and two grandchildren, her kitty Tink, her mother, big brother and little sister, nieces, nephews, and their descendants...tons of cousins, and her close dear friends who all stood by her side, in thick and thin. She was loved and cared about, and will be sorely missed. A private family memorial will take place at a later date. Arrangements have been made with Hennessey Valley Funeral Home & Crematory. Memorial gifts can be made to the Jayne Auld Memorial fund at Spokane Housing Ventures, who provides safe, subsidized housing, https://spokanehousingventures.org/ or to The Spokane Center for Independent Living, http://scilwa.org/. , who advocates for disabled adults to live independently with dignity.